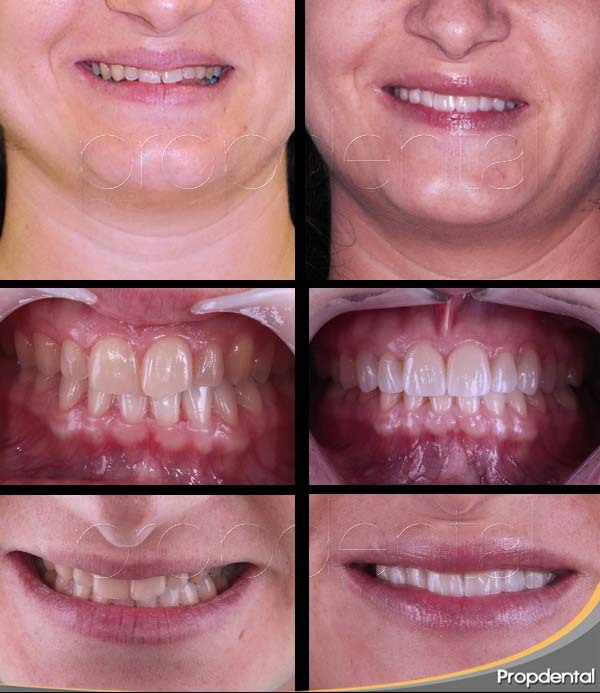 At Propdental Clinic, we’re experts in the field of dental veneers without teeth-shaving and are distinguished by the outstanding results which we obtain. Recent developments in the field of dental veneers have paved the way for the use of several cutting-edge techniques in cosmetic dentistry. These advances have led towards increasingly minimally-invasive techniques such as no-prep tooth veneers, in order to resolve the appearance of selected teeth. These veneers are ultra-fine (0.5 mm), yet at the same time, extremely resistant. The veneers can be placed without having to modify or shave the tooth in any way, which makes for a cosmetic dentistry treatment which is completely reversible, pain-free – and one in which the original tooth remains healthy and intact. These no-prep veneers will help give you the smile which you’ve always dreamed of – and completely pain-free! In just two sessions, you’ll be able to sport a smile that’s worthy of Hollywood – all without having to endure endless dental treatments – changing the structure of your teeth. The principal benefit of porcelain cosmetic veneers, as compared to composite, are their resistance and texture, which are very similar to those of natural teeth. In addition, their attachment to the tooth is much better than the results obtained with composite veneers. Porcelain cosmetic veneers are suitable for all patients, as unlike some composite veneers, they’re not rejected by the mouth. Thanks to the porcelain micro-veneers we use at Propdental Clinic, we’re able to design the perfect smile for you, using the latest adhesion techniques and CadCam technology – all with minimally-invasive procedures – and at an affordable price! Composite veneers are used to improve the colour, shape, size and texture of teeth, in order to improve their overall appearance and are a popular treatment in Propdental Clinics, and are routinely placed by one of our specialist dentists. They require little or no reduction of the tooth (filing) and the treatment can be performed in one visit. However, they will eventually become pigmented and darken somewhat, something which doesn’t happen with porcelain veneers. Each patient is unique and their dental anatomy, the shape of their teeth and smile all have to be taken into account when it comes to deciding the best type of veneers, in order to achieve the perfect smile. One of our highly-experienced dentists will take all these factors into account, in order to create the right composite veneers for you.